March 2019 – "The Home of Organic Golf Reviews"
I just wanted to share a few videos that summarize some of my observations from the first day of product testing. Why read when you can watch right? Products tested are golf balls from TaylorMade Golf, Srixon Golf, Wilson Staff, and Bridgestone Golf. Also, I have some candid thoughts about the Equalizer wedges from Ben Hogan Golf. Well, I made it. After being in Florida back in January for the PGA Show and a planned trip that I canceled two weeks ago I’m in Florida. A 3 hr bus ride to Buffalo, NY and a wonderful flight once again on Frontier Airlines and I’m basking in the Tampa sun. A trip that will see me go fly fishing, practice golf, hopefully, go home with a swing and of course play and conduct several testings. Most of the golf ball variety. All of this before I resume working at the same golf course that I worked at in 2018 until I had my Stroke. Scenic Woods Golf Course which is a GolfNorth Properties facility. God! I can’t wait! Today was without a doubt the most gratifying day of golf that I’ve experienced. I just couldn’t wipe the smile off of my face. I was just elated to be back doing what I love. I spent the majority of my day at Terrace Hill Golf Center in Temple Terrace, FL. At any rate the product testing. So what are the products that I’m testing down here in Florida? The most important of the bunch is the Equalizer wedges from Ben Hogan Golf Equipment Company. Up until now, testing of these wedges has amounted to basing everything on feel and/or limited ball flight in a golf dome. Getting these clubs outside and seeing them perform as they were intended to do so was worth the wait. These Equalizer wedges are even better than I thought. The feel, the ballflight (these wedges penetrate) and some clear stopping power on firm greens that were/are dried out by the wind. I am beyond impressed. I’ll finally be able to write this review sooner than before later. If you need wedges… Look no further. These wedges are the best bang for your golfer buck! Another product that I was sent for testing were tees by ZoomTee USA. The premise of these tees is to give golfers the option of playing tees that are extremely durable, a tee that’s designed to produce less drag which is said to result in longer, straighter drives. Also of note here is the addition of a height guide for getting the golf ball teed u at just the right height and a tip that’s used for cleaning your grooves and repairing ball marks. I used only one tee and there was no sign of breakage thus far and ZoomTee USA was also very easy to locate after the shot. No scanning the ground looking for your pesky golf tee. It’s a minor thing, but it is a way to help maintain the pace of play. I also found ZoomTee USA was easy to get into the ground. Although, the soil here in Florida is quite sandy. It’ll be interesting to see how they penetrate the clay-based soil at home. It was an interesting first day of testing and with that, I have a few thoughts. The TaylorMade TP5 and TP5x seem to really have a penetrating ball flight as advertised. Early indications are that this golf ball is a strong golf ball in the Tour ball market. All-around great feel (TP5 a little softer) and I can see why Rickie Fowler switched from the Titleist Pro V1. There’s a reason why the ball is hyped. Not that it’s a bad thing. I wasn’t blown away through Day One of testing of the 2019 Srixon Z Star. To me, this iteration of the Z Star is solid. I’ve always liked the Z Star and have a lot of familiarity with it. Maybe that’s why I wasn’t blown away. It felt too familiar. Where I wasn’t blown away by the previous ball if there was a ball that I was very impressed with thus far it HAS to be the Wilson Staff DUO Professional. This golf ball was long with irons (albeit downwind) and the short game spin of this golf ball was extremely impressive. This ball STOPPED on greenside chips and pitches. I didn’t have it in play for any driving holes. Bridgestone Golf developed the e12 with 12 years of golf ball data taken from their ball fitting data. What they came up with were the e12 Soft and e12 Speed. Just from a putting standpoint (this was the first part of the testing) I wasn’t enamored with the “firmer” e12 Speed. It felt too clicky or too firm. But then all of that suddenly changed. This ball actually felt pretty soft and responsive on full iron swings. Into a hurting wind, I was able to find the green pin high from 182 yards away with a 5-iron. Judging by the flags and wind I figure it was a 1.5 to 2 club wind. Never be too hasty in being judgmental folks! The e12 Soft I liked right away. I liked the feel of the e12 Soft when it came to putting, my first drive of 2019 was with the e12 Soft (Red) and it just carried down the fairway into the wind and it penetrated. My approach into the firm, wind-swept green resulted in no severe rollout (settling 8′ from the pin) and greenside chips and pitches I thought it performed better than the e12 Speed and as good as one of the tour-level golf balls. Today was just the beginning of what I have planned down here. So stay tuned for more information as I test products, write reviews and enjoy some March golf in sunny Florida. Well, it happened! For the first time in my time writing my blog and contributing golf news to the golfing public… I’m at a loss for words. 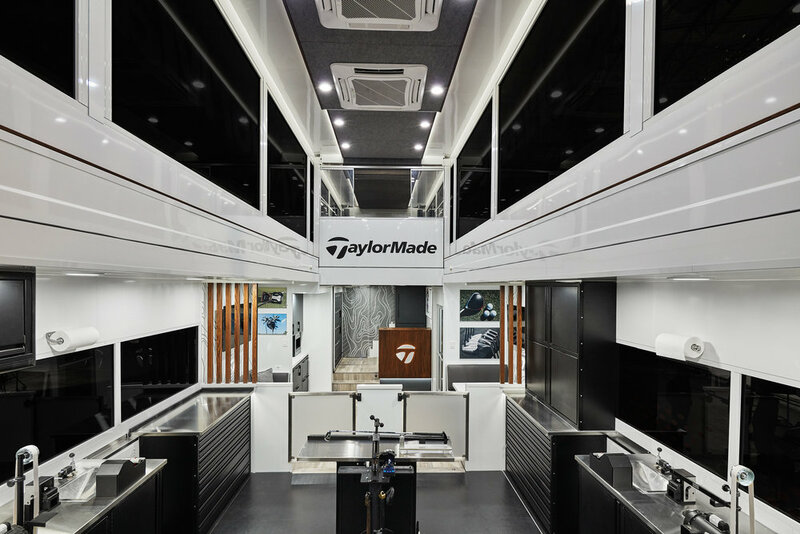 TaylorMade Golf has released their new TOUR Truck and I have no words other than… Wow! This new TOUR Truck is a sight to behold and I hope that I can see it up close and personal one day. For all of the details please see the press release shared below. Thanks to Marketing and Communications Manager Nick Obritsch (TaylorMade Golf Canada). 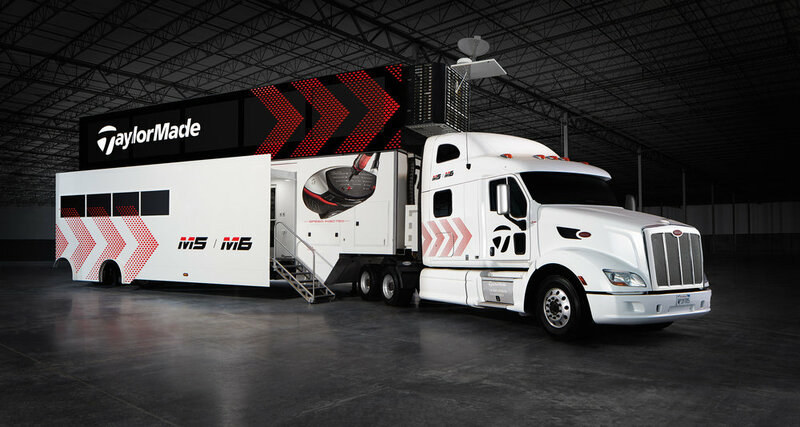 CARLSBAD, CALIF. (March 26, 2019) – TaylorMade Golf Company, an industry leader in product innovation and technology, today announced the debut of its new, completely re-designed Tour truck, set to make its inaugural appearance on Tour next month at the season’s first major championship. The truck solidifies TaylorMade’s commitment to its world-class Tour staff, widely considered the most elite in the industry. 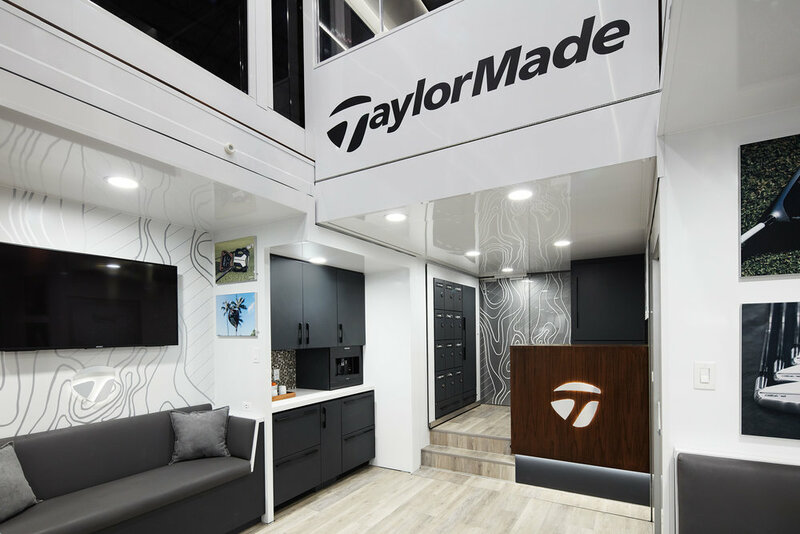 Inspired by the trucks operated on the Formula 1 circuit, TaylorMade has designed the new Tour truck from the wheels up in collaboration with St. Louis-based industrial fabrication experts, Craftsmen Industries. Featuring dual slide-out pods and for the first time a second level for meeting space, the company’s new truck is the biggest and first of its kind on the PGA TOUR.